Difference between revisions of "OpenScape Desk Phone IP (SIP)"
The current application software of OpenScape Desk Phone IP V3 is [[OpenScape Desk Phone IP Release Notes#V3 R2.5.0|R2.5.0]]. The current application software of '''OpenScape Desk Phone IP 35G''' is [[OpenScape Desk Phone IP Release Notes#V3 R2.5.0|V3 R2.5.0]]. 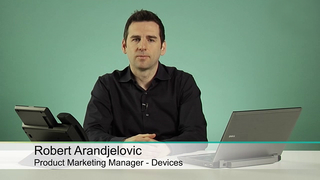 Please have a look at [[SIP Devices and Asterisk|OpenScape Desk Phone and Asterisk]] for additional information about software releases and features for Asterisk based solutions. The OpenScape Desk Phone family consists of the SIP phones shown on the right. The OpenScape Desk Phone IP family have a wide common feature set (listed below) and additional features per model (specified for each phone model). Connectivity to several VoIP providers is supported. For configuration hints see the How To article. It could be possible that particular function on the phone are not available or working. 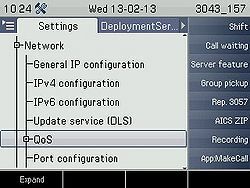 See OpenScape Desk Phone IP Supported Languages. 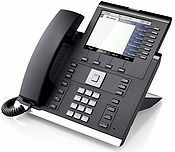 See OpenScape Desk Phone IP Supported Country Tones. All OpenScape Desk Phones are shipped with a printed document providing brief instruction regarding installation and operation. For both user and administrators, a comprehensive and updated documentation is provided as PDF files. The SIP firmware provides encryption capabilities. Hence its distribution must follow legal requirements which do not allow unrestricted SW distribution via the Internet. The firmware is only provided by Siemens technicians or by official Siemens Partners. Customers with self-care contracts will have access to SW within the SEBA Web portal (login required). The current application software of OpenScape Desk Phone IP 35G is V3 R2.5.0. Please have a look at OpenScape Desk Phone and Asterisk for additional information about software releases and features for Asterisk based solutions. To get an overview of all release notes for the OpenScape Desk Phone IP family see the history of all Release Notes. For detailed interoperability information please check OpenScape Desk Phone IP interoperability matrix. The OpenStage Manager is a comprehensive and powerful tool for your OpenScape Desk Phone 55G telephone. The main function of the OpenStage Manager is to serve as an interface between your phone and PC, thus enabling convenient phonebook editing on your PC. OpenStage Manager allows you to synchronize contacts in Microsoft Outlook with the contacts in your telephone. See OpenScape Desk Phone Accessories.